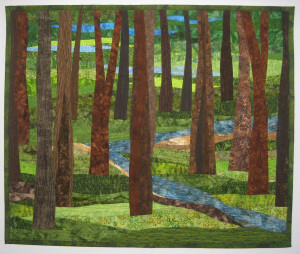 I’ve been making and selling art quilts for almost 4 years. 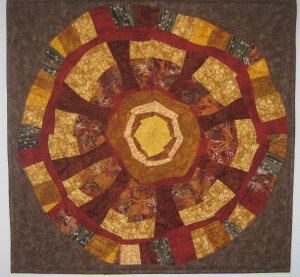 In the beginning I was very hesitant to make custom quilts, primarily because I didn’t have confidence in my abilities. After a significant number of sales my confidence grew and I began to offer custom quilts. However, my custom quilts come with a caveat….I only make my designs and I won’t create something someone wants if I feel it won’t work from a design or color perspective. features mostly the same. (see the sunset and the tree pictures). These are relatively easy to make because I have one of my originals from which to design the enlarged quilt. I have learned to give myself some leeway on sizes and fabrics now that I’ve made quite a few enlarged quilts. A customer almost always has a specific place in mind for the quilt with desired dimensions. My first dozen custom quilts I lost much sleep as I forced my quilt making into a predetermined size, exact to the customer’s request. Today I’m learning to be more general with customers, within a few inches, for dimensions because some designs are difficult to hit the dimensions exactly. I ask lots of questions of customers and often receive pictures of the wall/room spaces where they plan to hang the custom quilt. This helps me decide how to negotiate size variables which gives me some creative freedom in the creation of the quilt. Colors are also be a discussion point though again, I stick to my instincts regarding which colors go well together. I’ve had requests for exact replicas of a quilt with one color change. If I think the change is workable, I agree to make the quilt. If, however, I wouldn’t pick that color EVER…then I talk with the custom about my concerns and, if we can’t find an acceptable color, I decline to make the custom quilt. If I think it isn’t going to look good when it is finished, I just will not commit to the hours required to make a custom quilt. My daughter asked me to make a mandala, shown in the photo. I know mandalas are very precise symmetrical designs, something which is not part of my repertoire. I was excited when she said she wanted it to be my interpretation in my more wonky, non precise style!! It was fun applying my design ideas to something like this. 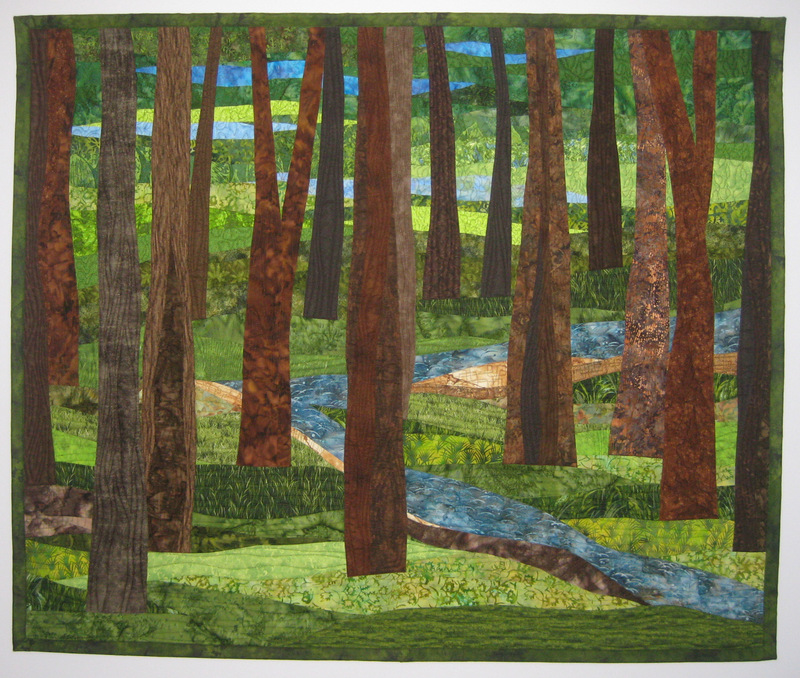 The specific fabrics I use in each quilt are significant to the overall artistic quality. Sometimes I don’t have the same fabrics to make a custom larger quilt so I’m honest up front with customers that there will be some similar but different fabrics in their quilts. I had one order for a custom enlargement of a quilt with a specific print which was integral to the art quilt….I didn’t have enough fabric but I was able to find it on-line (my local supplier didn’t have any more). Without that particular print, I could not have made the quilt. 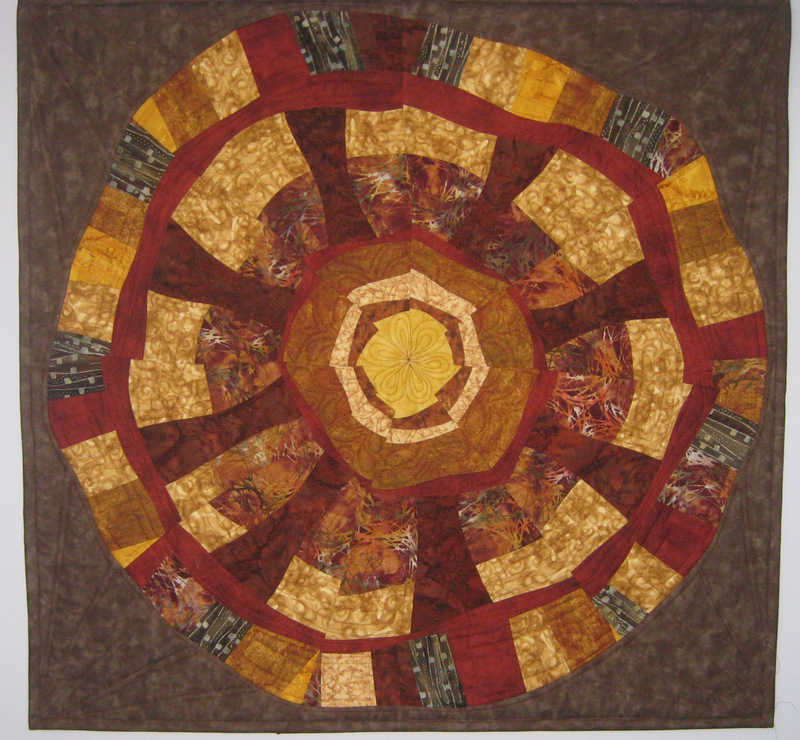 Finally, I have had people ask me to make quilts which are not my designs or even my style. They send a picture of a quilt, often a traditional block quilt, and ask if I can make it in some specific colors. These are the easiest projects to decline, with an explanation of the kinds of custom orders I accept. Custom quilts often involve mailing fabrics or receiving paint and upholstery samples so we can coordinate specific greens or reds or whatever a customer’s color scheme is. It is a negotiation process and one in which it is OK for either one of us to say at any point before the sale is agreed upon that it just isn’t working. 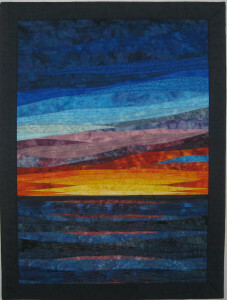 I have come to realize that custom quilts are often my largest quilt projects which makes them the most time consuming. The key to success is lots and lots of questions and discussion ahead of time then a clear written agreement which we both accept. I require 50% payment at time of order and 50% payment upon receipt of a photo of the finished quilt.